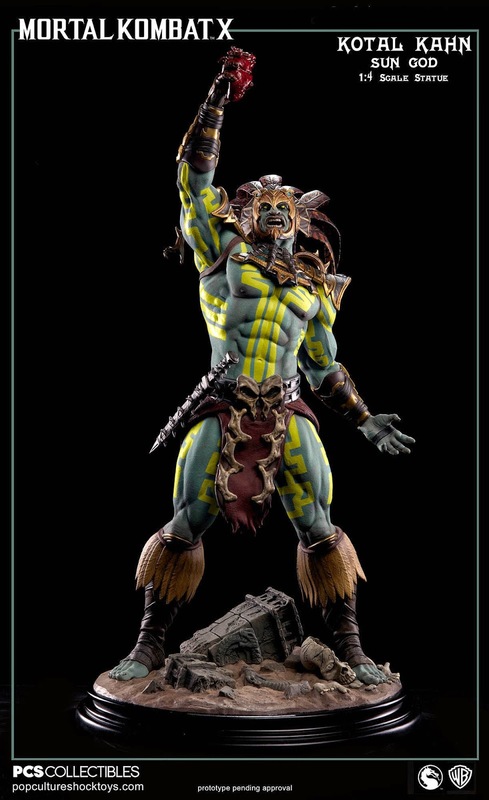 With PCS Collectibles focusing on Mortal Kombat X statues now, their first release for the line will be Kotal Kahn. 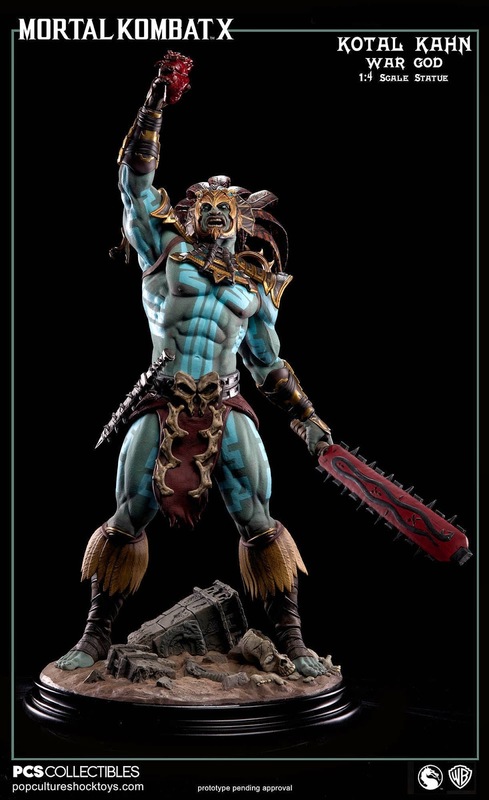 And there's going to be 3 variants..
Each of which depicting the 3 fighting variations of Kotal Kahn from the game. 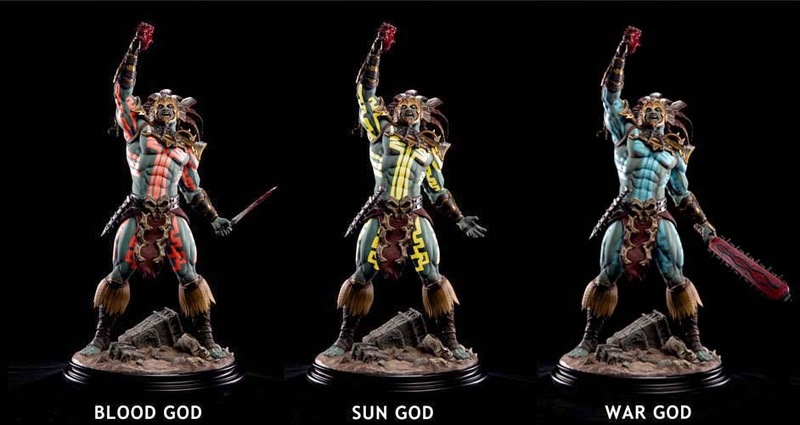 Apart from the different coloured tattoos, each variation of the statues will feature a different weapon; Blood God will have the Tecpatl, War God will have the Macuahuitl & the Sun God will not have a weapon. 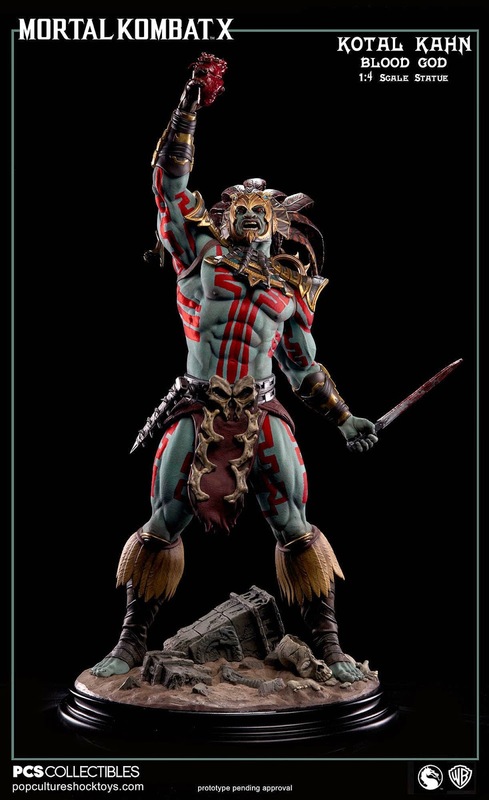 Prices for them range from USD$425 to US$450, with discounts for the different payment plans if you purchase directly from Pop Culture Shock Collectibles' Store. A little more expensive than what I expected. I still haven't decided how many or which of these I'm getting though. If it's just one, I'm leaning towards Blood God because of the significance of it. Have to admit I'm a little worried about the future of this line. If they are going to follow the game's 3 variations for each character, it's going to be affecting my dedication to this line. Granted, it sort of works for Kotal Kahn because of the different weapons and tattoo colours. Could say that the differences are a bit more visually prominent as compared to other characters' variations. 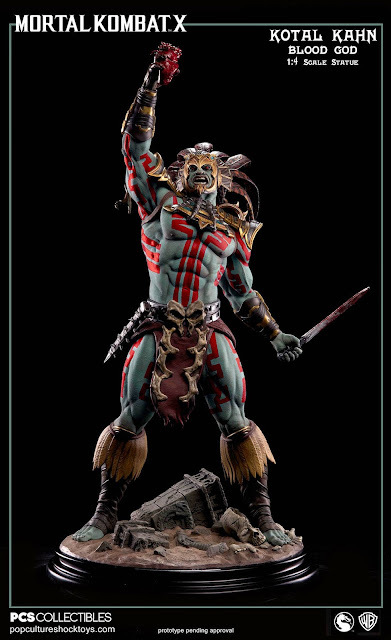 Hopefully, it doesn't become a thing for the future MKX statues.. Of course there will be EX versions where they offer extras or different options for certain characters. Showed this pic to a friend, Leon and he commented that the Palette swaps from the Klassics are back. A bit disappointed with his character development in the game, but I became a fan of this character from the comics, so I'm still going to get him. All the details & prices here.